1. Beat the butter and sugar with an electric mixer until pale and smooth. Add the vanilla extract and eggs one at a time, mixing with each addition. 2. In a separate bowl, combine the flour, baking soda and salt. Add this to the batter in 2 additions, alternating with the sour cream. Divide the batter into 4 bowls and dye them pale pink, pale blue, pale green and pale yellow. 3. Spoon the batter into greased and floured 6” round cake pans. Bake at 350F for 30 minutes, or until a skewer inserted into the center comes out clean. Cool completely. 1. Beat the butter with an electric mixer until pale and fluffy. Add the vanilla extract and confectioner’s sugar one cup at a time, beating with each addition. 1. 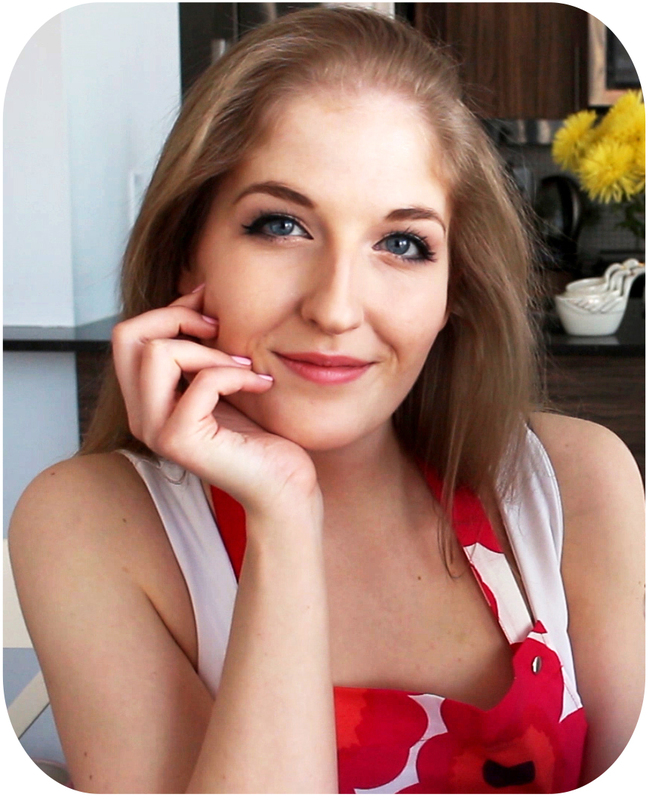 Slice the tops and bottoms off the cakes to smooth the surface and remove any excess browning. 2. Stack the cakes in the order that you like and cut 3” circles out of the center of the 2 middle cakes. 3. Place the bottom cake (without a hole) on your desired cake stand and spread a ring of frosting around the edges of the cake. Place a cake with a hole on top, spread some more buttercream on top and place the remaining cake with a hole on top. Fill the cake with the mini eggs for filling. Spread some buttercream on the cake and place the remaining whole cake on top. 4. Cover the entire cake in a thin layer of buttercream, called a crumb coat, to catch any crumbs. Place it in the fridge for 30 minutes, to chill. 5. Cover the entire cake in a thick, generous layer of buttercream. 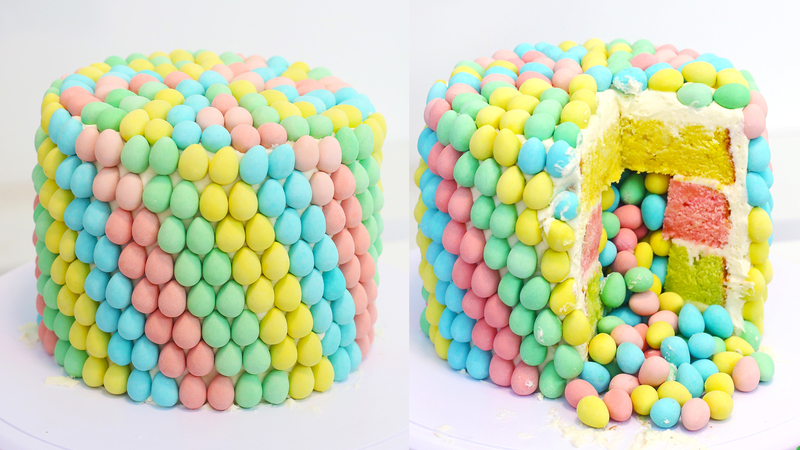 Stick mini eggs onto the cake either randomly, or by grouping the coloured eggs together in sets of 2, slightly offsetting them in each layer to create a beautiful stripe pattern. 6. Slice and surprise your guests with an avalanche of mini eggs!